I’ve decided to do a little What I Wore series for the blog because, well, after 9 months of wearing maternity clothes, I’m pretty over the moon to be back in regular clothes! The sheer joy of being able to open my drawers and wear whatever takes my fancy is pretty something, let me tell you. 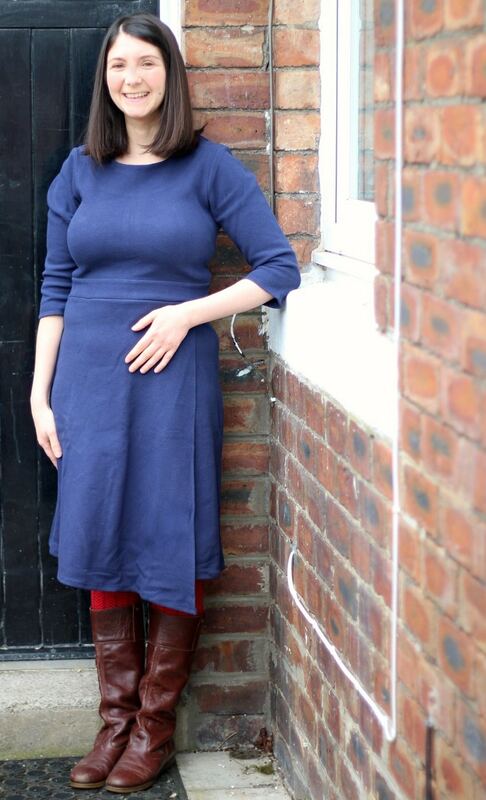 I absolutely love the fit of this Braintree Clothing Jessamine dress – it’s very flattering on my postpartum figure. The fabric is nice and heavy and drapes perfectly in all the right places. It’s now my go to dress for basically any time I want to feel put together and fantastic about myself. The leggings are from Gudrun Sjõdén, a brand of which I’m not overly familiar with but have strong ethical policies in place, and their own eco labelling system so you can see how different Gudrun Sjõdén products compare to one and other. 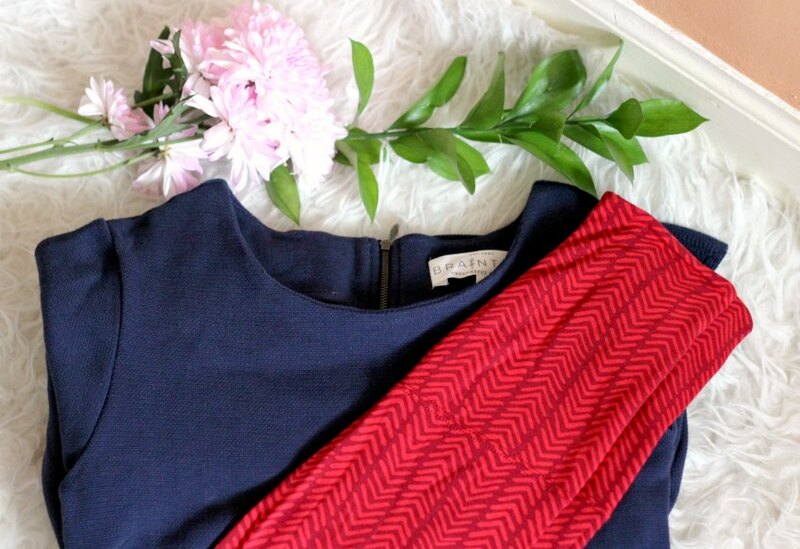 These raspberry red leggings are a great way to brighten up an outfit, and are rated two out of three in Gudrun Sjõdén’s system which means they are made with more than two thirds organic cotton or recycled fibres. I will be back for more bright leggings! Finally, my boots are a secondhand eBay find from a few years ago. I’ve not had much luck with eBay lately – buying or selling – so I’m hoping it’s a temporary blip. Me and eBay go back at least 13 years (at one point I’d say my wardrobe was 75% secondhand from eBay) so I’d be sad to see our relationship sour! I’m on the hunt for a new pair of boots a bit like this as these are on their way out. I’ve worn them pretty much every day over autumn and winter over daily round trip to nursery and back, and sadly they have a rubber sole that isn’t very easily replaced. Poor shopping on my part. Look out for the next What I Wore very soon! 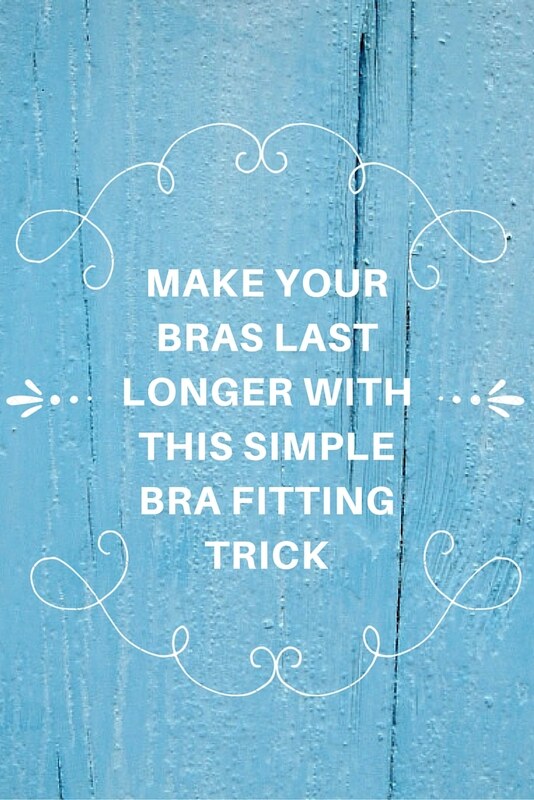 I’ve got a simple but genius bra fitting tip for you today that will prolong the life of your bra. Making clothes (including underwear) last longer is always good for you, money wise, and good for the environment so it’s a complete win win! Now, I don’t know about you but whenever I’ve bought a bra I’ve always bought one that fits on the middle hooks. In fact I’ve always been a bit mystified as to why there are 3 different hooks on a bra. I had always assumed it was so that you had a bit of leeway with your bra – you know, in case you lost or gained a bit of weight. Even when I’ve gone to a shop for a bra fitting generally the bra fitter has also fitted the bra on the middle hooks. It turns out this is the wrong approach to bra fitting. In this post from Refinery29, they suggest, once you’ve found the correct cup and band size, that when fitting your bra you should fasten the bra on the outermost hooks, so that as the bra stretches through wear you can make it tighter. Heidi Zak, cofounder of online bra shop Thirdlove explains this bra fitting method: “The way you extend the life of the bra is as the band stretches — the elastic breaks down, and if you wear it every day for six months to a year — you move it in and tighten. The one thing women should know is, if you’re trying a bra on that you’ve ordered at home or in a fitting room, you should only be trying it on the last hook, and it should be quite snug”. This is a revelation to me – I’ll certainly be putting this into practice next time I’m bra shopping!